It was meant as a joke, though that got lost on British journalists who’ve never got the hang of the German sense of humour. But Hanckel’s comments were made more than a decade ago, and since then the UK has been continuing its long-term decline, to such an extent that we are now on the brink of his words becoming reality. 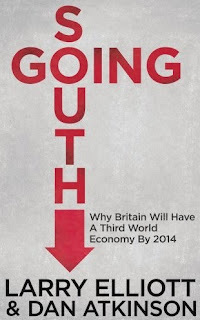 Just how close we are to this fate is the subject of Going South: Why Britain Will Have a Third World Economy by 2014, the new book by Larry Elliott and Dan Atkinson, published today. Elliott and Atkinson have been issuing warnings of catastrophe ever since their off-message classic The Age of Insecurity (1998) in the early days of the New Labour government. Most famously, their book Fantasy Island (2007) took the opportunity of Tony Blair’s departure from office to point out that the financial boom which we’d been enjoying for a decade-and-a-half was built on the quicksand of debt and was entirely unsustainable. Not to worry, however, because this latest instalment really is gloomy. Elliott and Atkinson have always been unconvinced by the optimistic froth spouting from the lips of whichever plausible young men are currently in the ascendancy in Westminster, insisting that the underlying economic tides have been turning against Britain for decades. Unfashionably, they still pay attention to those things that used to worry us, but which now seldom make the news, as politicians attempt to persuade us that everything will turn out alright – things like the balance of payments deficit, for example, or the level of personal debt. 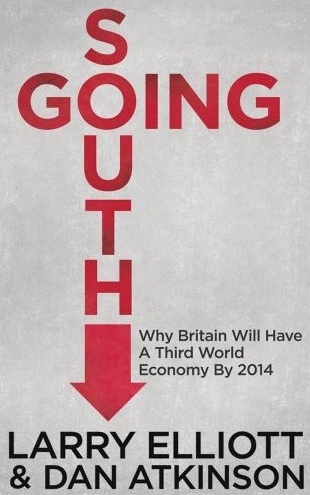 Their analysis of where we are now doesn’t offer much hope for the future: ‘Britain is in deep trouble and ready to blow,’ they conclude. There’s a little comfort to be derived from their belief that ‘a total breakdown of organized society, along the lines of the 1970s television dramas Survivors and Quatermass, is not on the cards’. But that’s immediately followed by warnings of ‘brownouts and blackouts with regard to the electricity supply, water shortages, interruptions to gas supplies and breaks in the coverage of fixed-line and mobile telephone services’. I should point out that this makes it sound like a depressing book. And indeed it is. 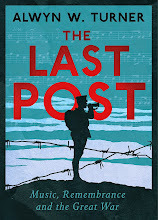 But it’s also a terrifically entertaining read, romping through a century of fantasy and folly to show that politicians and experts, as well as self-interested institutions like the CBI and Bank of England, have been in pursuit of a mirage for the whole of living memory. Nothing much has changed, and certainly nothing has changed for the better. ‘We have now finished the story of Bleak House and are sitting down this afternoon to enjoy the first chapter of Great Expectations.’ That was Neville Chamberlain, as chancellor of the exchequer, in 1934, but – with cultural references suitably adjusted for less elevated times (something about how Britain's Got Talent, probably) – it might as well be George Osborne today. Despite the excellent diversions into history, most of the book is centred on the present and on the immediate future. And for those of us who aren’t as economically literate as the authors, there’s real pleasure to be derived from having the financial and industrial state of the nation being laid out in such clear, readable prose. It confirms pretty much what we’ve all suspected: that we’ve been living in a state of self-delusion for a very long time. Even the much-vaunted City of London, one of the few ‘success’ stories of modern Britain, suffers from ‘the so-called Wimbledon effect, in which London hosts the world’s best but lacks domestic champions of its own’. It’s wonderful stuff, and an essential corrective to a culture in which ‘the fantasy lives on that the United Kingdom is just a couple of policy reforms and a slice of luck away from a seat at the top table’.